Dreaming of a sustainable home? Dreaming of a budget that permits? Turn your dreams into a Sustainable Recipe Home! Sustainable Recipe Housing is a unique concept that makes the dream of a sustainable home a possibility for everyone! 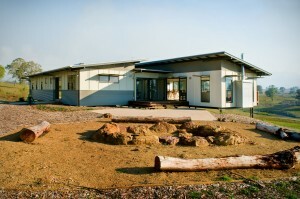 At Sustainable, our team largely pride ourselves on our unique module houses or “recipe homes”. These stunning homes are constructed from pre-designed modules in order to ultimately cut construction costs, allowing those with a restricted budget to achieve a beautiful home to best suit their lifestyle. Flexible and adaptable to your specific wants and needs, recipe homes can be tailored to perfectly compliment your site, wish list and most importantly, your dream lifestyle, whatever, and wherever, that may be. At Sustainable, we believe the most important aspect is to ensure our homes are immersed in the natural site and always ‘touching the earth lightly.’ We believe each room should take full advantage of its surroundings, ultimately offering beautiful light and ventilation, naturally! Sustainable Recipe Homes utilise passive heating and cooling as much as possible, and enable a focus on a more relaxed, simplistic lifestyle. 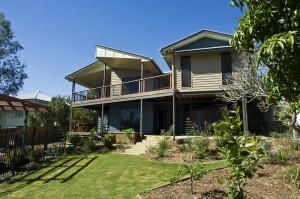 Clients can be reassured that the home is energy efficient, economical and environmentally aware. As CEO Brett McKenzie says, “Sustainability is no longer about tying yourself to a tree and showering once a week. Sustainability is achievable through smarter choices, not sacrifice.” Our Sustainable Recipe Homes perfectly encapsulate luxury, sustainable living through modern, contemporary and leading edge design.